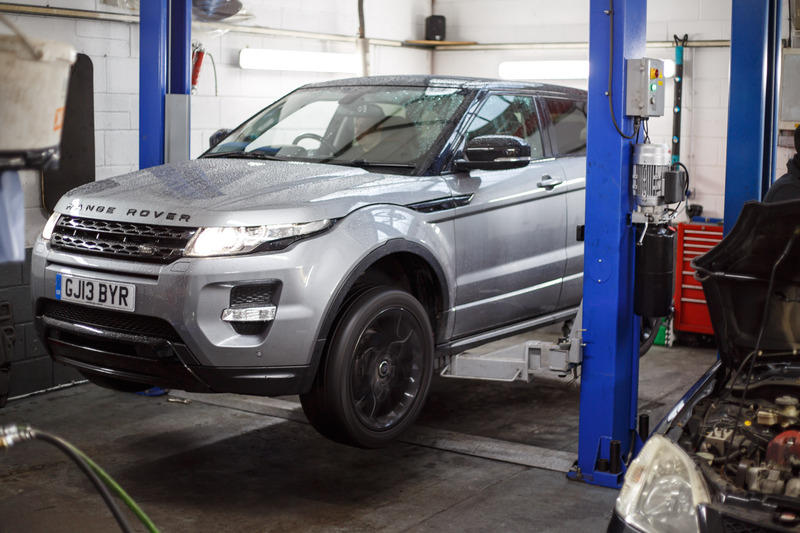 After only a few months of ownership, we have had the first major issue with the Land Rover Range Rover Evoque. A noise came from the car when moving at low speeds. The sound was coming from the prop shaft and a replacement was required in order to resolve the issue. 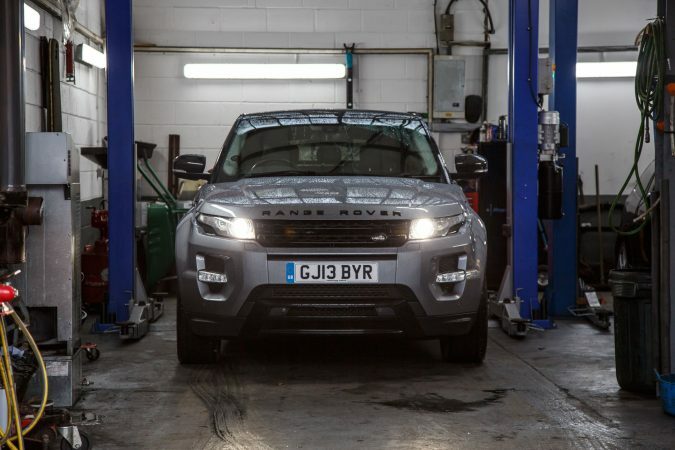 Below is how to replace the prop shaft on the Land Rover Range Rover Evoque. 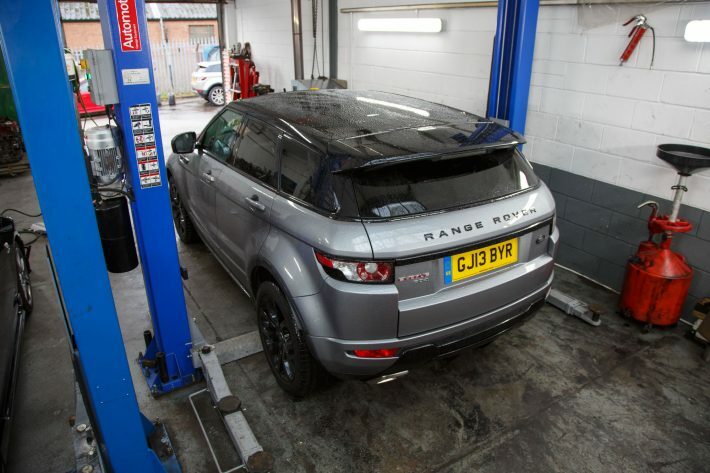 The work was carried out by James at JMB Land Rover Services in Birmingham. Below you will see how we identified the fault, removed the old prop shaft and replaced it with a new one. 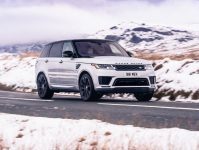 I contacted JMB Land Rover Services about the noise I heard from the car. James and I took it for a test drive so that we could listen to the sound and identify the issue. We could hear the noise but as the car was moving, it was difficult to identify where it was coming from so we took it back to the workshop and put the vehicle on the ramp and let the wheels run whilst in the air. From under the vehicle, we could hear that the noise was either coming from the power transfer unit or the prop shaft. The next stage of the diagnosis was to briefly remove the prop shaft from the PTU. Once it was disconnected, the sound went away, so it was likely to be the prop shaft causing the issue. Leave the car in neutral. Lift it to a suitable height to work on from underneath. 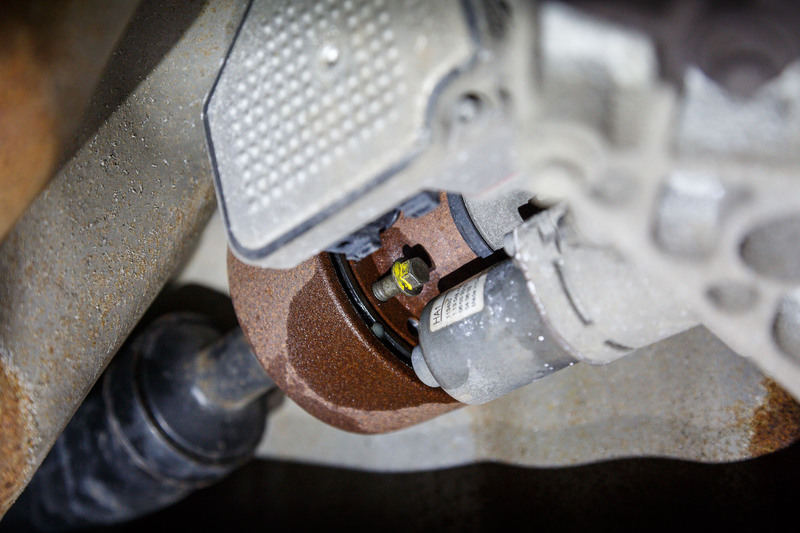 Remove six bolts from the rear flange joint. 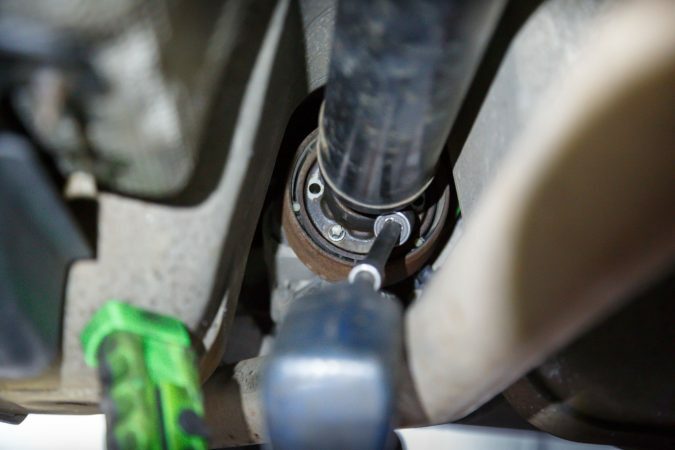 Use the release bolt to force the rear flange from the joint safely. Remove six bolts from front flange joint. Support the prop in the air. Disconnect central bearing from bearing bracket. Remove bolts from the central bearing bracket. 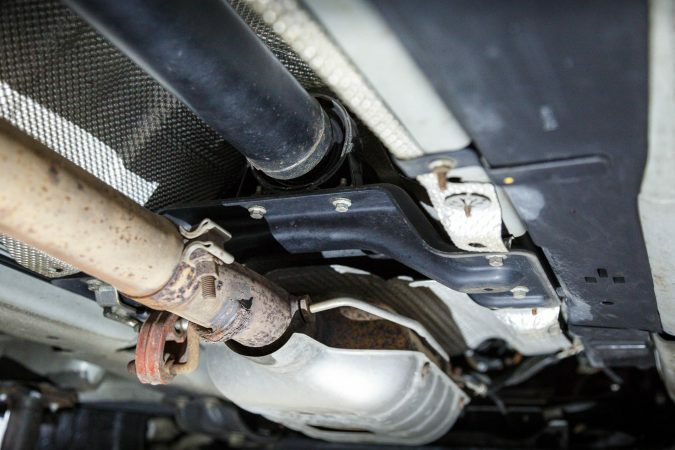 Carefully move the prop shaft out around the exhaust pipe. Follow the procedure in reverse to refit. 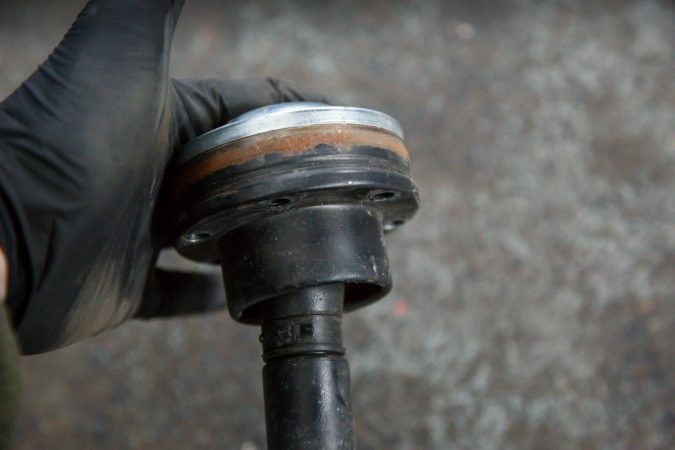 Removing the rear flange of the prop shaft from the pinion is the most difficult part and often people get it wrong. There are six bolts that need to be removed from the rear of the prop, however, often this joint will fuse together. I would recommend using WD40 or a similar product to free the components. To separate the prop, there is a hole on the back of the pinion side that has been designed to push a bolt through. With just a few taps, the parts separated a lot easier than expected. Before we will be able to fully remove the prop shaft, we will need to remove the DPF heat shield. There are four nuts that need to be removed and the shield will slide out, allowing access for the prop later. Moving to the front of the car, we needed to disconnect the prop from the PTU. 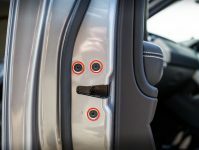 There is more room to work and no force is needed to separate the components once the bolts have been removed. 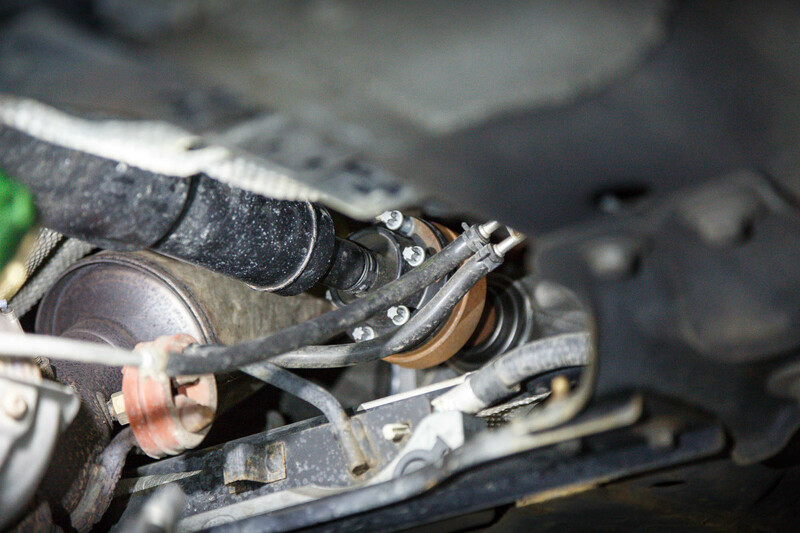 As you can see below, there is a large bracket that holds the central bearing in place on the Range Rover. Firstly, we removed the two bolts that hold the bearing to the bracket. Then with one person supporting the prop shaft, we removed the four bolts that attach the bracket to the car. We moved the bracket onto the floor. Now there is nothing holding the prop shaft in. To get it around the exhaust, we needed to move the prop forward, over the top of the original mount by around six inches. Then we carefully brought it out to the back of the car. Here you can see the fully extracted prop. 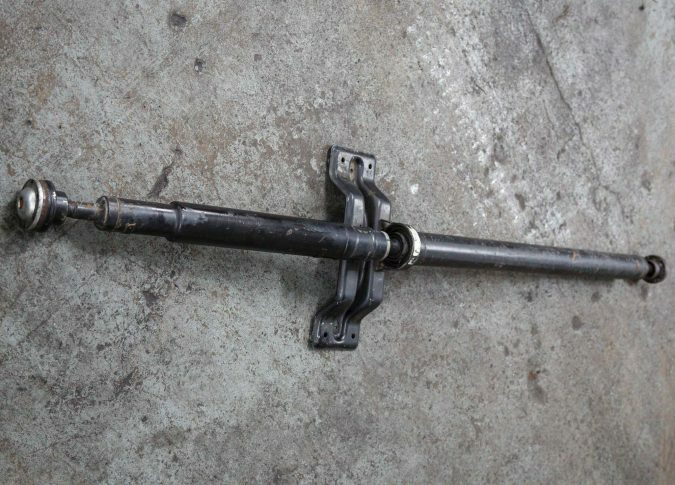 To refit the Range Rover Evoque prop shaft, you just need to follow the above process in reverse. 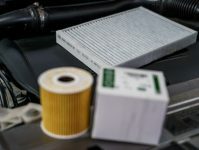 Once the process has been completed, it is essential to ensure that all settings are torqued up to the correct settings. You also need to make sure that the prop shaft is seated correctly and not restricted by anything such as the DPF heat shield. With the old prop shaft out, we could tell that the front joint no longer moved smoothly, possibly due to a lack of lubrication when originally created. You are unable to test this joint without moving the part from the car. For Land Rover repairs and maintenance, see JMB Land Rover Services in Birmingham. Disclaimer: If you are not a fully competent mechanics we recommend that you seek professional advice before starting work on your car.